Dale Riley has had three placings that he can remember in the Coolmore Denman Cup but is hoping that Disgraceful, a recent addition to his stable, will bring credit to his family and finally give him the win that he wants in the feature race at Muswellbrook on Monday. The former Chris Waller-trained galloper, now a seven-year-old, was bought by Riley’s two daughters for just $7700 despite the horse boasting good city form earlier in his career. “They advertised him as 16.3 hands but I reckon he would be nothing more than 15.3 hands,” Riley said. 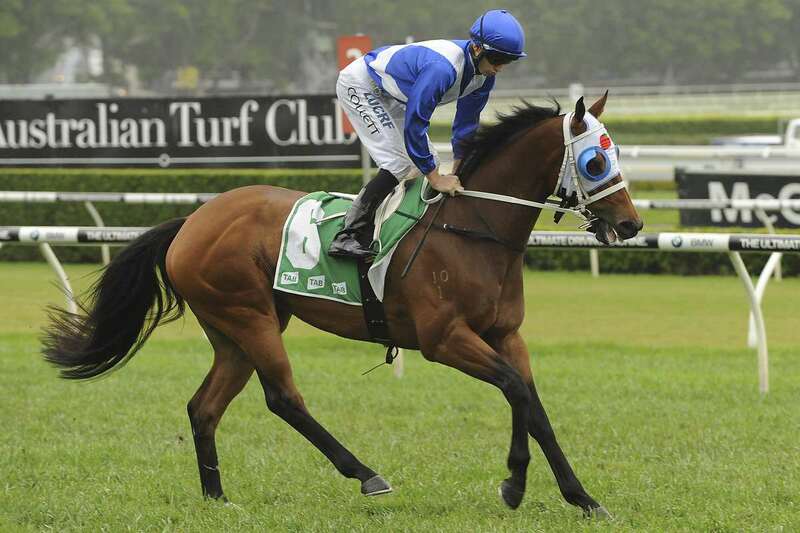 “He is a nuggety little bloke but sound and he went really well in a jump out earlier this week. “I’ve had a few placings in the Denman Cup over the years but I don’t want to say too much about this bloke until we can see what he does on Monday. Disgraceful, bred by John Singleton, is by Redoute’s Choice from the American-bred mare They Say and was passed in for $275,000 at the 2013 Easter yearling sale before being sold privately. He is the winner of three races, one each at Randwick, Wyong and Kembla Grange while he has seven placings at Randwick, Rosehill and Warwick Farm to his credit. His last run under Waller’s care produced a sixth at Randwick in February last year and the horse then spent more than a year in a paddock while an ownership issue was sorted out. Eventually, he was sent to Morphettville trainer, Will Clarken and his best run in four starts for him was a fourth at Morphettville over 1200 metres beaten less than three lengths. Despite his record, Disgraceful will carry only 54.5kg, something that has Riley quietly pleased. Mighty Like, the second topweight for the cup with 64.5kg, will start and will be ridden by in-form 2kg claiming apprentice Robbie Dolan. Although Mighty Like is a nine-year-old, he is still showing that there are probably more wins in him following a fifth in the Listed Ortensia Stakes at Scone in May and a sixth in the Listed Ramornie Hcp at Grafton in July, beaten less than three lengths. Hatch and a client bought Mighty Like for only $13,000 as a tried horse and recouped that when, at his first start for his new owners, he won a metropolitan race at the Gold Coast. Earlier this month, at his latest start, he ran eighth over 1200 metres at the Sunshine Coast but Hatch said there were excuses. Hatch will also start Cloud Cover in the Kingstar Farm Class Two (1280m) with Josh Oliver to ride the mare. Hatch has only had the five-year-old for two starts for a maiden win at Scone and a Class One win at Moree. This race, the last, is by far the most intriguing on the program. The topweight Texas Tycoon has been close up in some handy races without being placed; the Kris Lees-trained Cuban Sizzle has run successive thirds at Hawkesbury and Newcastle while the Todd Howlett-trained Roy’s Command resumes here after two excellent trials including a close second to Waitandwatch at Wyong and a fourth, beaten less than five lengths, behind El Dorado Dreaming and In Her Time, at Newcastle. Then there is Cloud Cover, the Stephen Gleeson-trained Cosmic Reign and the Kim Waugh-trained Bocca Grande which is also resuming with a third in the Wyong trial behind Waitandwatch. Possibly the most interesting runner is the John Ramsey-trained Hoges (Grant Buckley) which has had five starts for wins at Scone and Dubbo then ran seventh, beaten five and a half lengths, behind Ragged Tascal in the Listed Heritage Stakes at Randwick. There was specking for him at long odds in that race but he shifted out on jumping, lost touch with the leaders early and was never a hope after that. Ramsey could well end up with a double with Knievel having his first start for that trainer in the first race, the Denman Hotel Maiden, after being switched from Greg Hickman. Knievel was placed at Gosford and Hawkesbury before a last start last at Kembla Grange after failing to handle the firm track. The promise of a Good 4 on Monday will suit him.